Each year Kingsley hosts a special event known as Parent Child Visit Day. 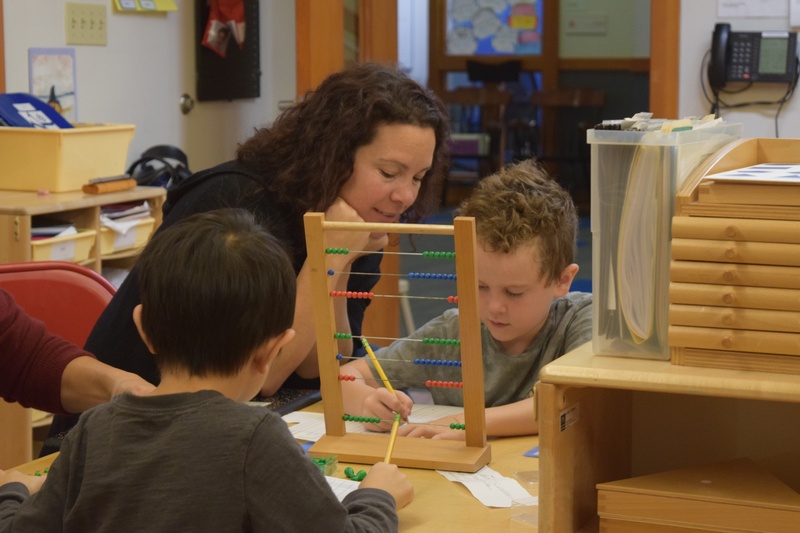 One of the highlights of the school year, this event gives parents the opportunity to come into the classroom and not only observe, but participate in the work and learning of their children. Students proudly prepare their favorite and most important pieces of work to share with the adults in their lives, and are thrilled to have the opportunity to show off what they've learned. 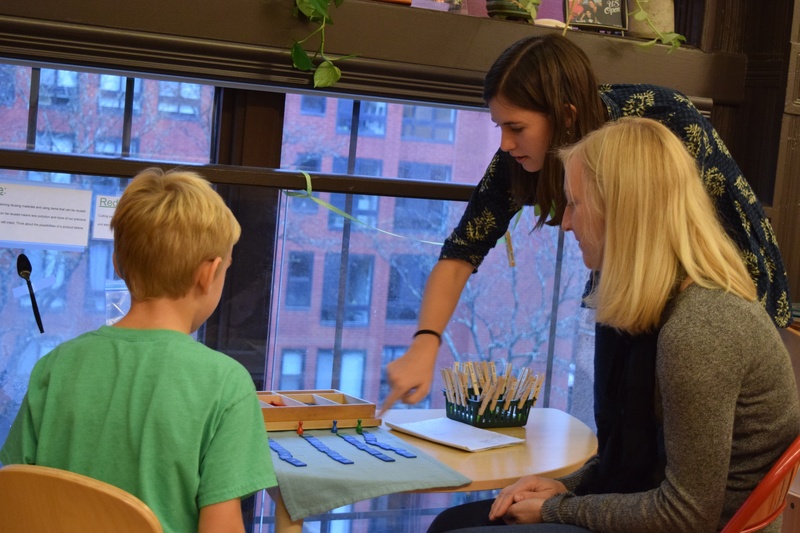 Parent Child Visit Day is a key community-building event at Kingsley. It's a wonderful opportunity to for parents of classmates to meet and mingle, and for students to learn more about each other and their families. It's also a great way for families to learn more about what their children are doing on a day-to-day basis at school, and have a better understanding of the information they share at home. Children love having their parents and other close family members come to school. Here, the student is in control, and has the joy of teaching their parents new things. 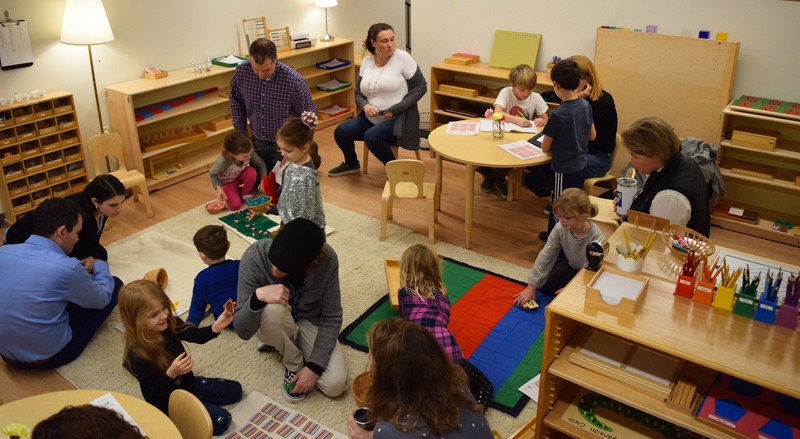 The sharing and explaining of their work not only informs the parent, but also reinforces the learning within the child. The sense of pride that the child feels in sharing their day-to-day work with the family also increases their motivation and positive attitude toward their work. Parents enjoy being involved in their child's work, and have a better understanding of what they are doing if they need help or suggestions. Parent Child Visit Day is also another great opportunity to interface with teachers and administrators at school. The positive vibes and community atmosphere are always the cherry on top of this great day at Kingsley. Parent Child Visit Day is one of our favorite days of the year, for a number of reasons. We love having so much of our community together under one roof, working side-by-side, for this special day. This is a tradition we will cherish for years to come! Learn more about Kingsley at an upcoming event!